The bulk of our business at Tulsa Wrecker service involves our light to medium towing services. Our experienced drivers know how to effectively utilize our tow trucks and equipment to transport your vehicles of light to medium weight to wherever you would like. Our trucks are serviced routinely so that they can continue to be used when they are needed. The last thing that we would want to occur is for any of our trucks to break-down when they are being used to tow your vehicle. 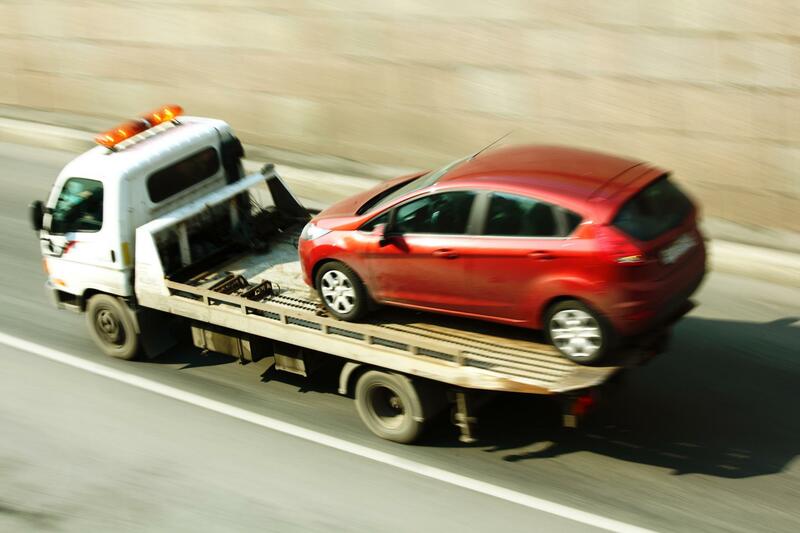 With our tow trucks you are capable of having your vehicles, such as pickup trucks or small SUV’s, safely transferred from one place to another. Don’t take the unnecessary chance of damaging your vehicle by having it pulled along on the back of someone’s pickup truck. This doesn’t usually end well for the motorists who’s vehicle is being pulled. Instead of taking the chance in having your bumper pulled off, give us a call at Tulsa Wrecker Service instead. If you’re contemplating whether we will be able to accommodate your needs just consider that anything under 24,000 lbs. would be considered a light to medium haul. The types of vehicles that our drivers tow include sports cars, sedans, small pickup trucks and small SUV’s. Anyone who has a luxury vehicle or a classic vehicle that they treasure they certainly wouldn’t want to have it towed by anything other than a reputable towing service. This is why it’s a good idea to place your trust in our expert tow truck drivers at Tulsa Wrecker Service. The drivers of Tulsa Wrecker Service have the necessary skills and qualifications needed to effectively transport your vehicle to its final destination. You receive the help that you need any time of the day or night when you rely on a professional towing company. A professional service provider knows the importance of offering 24-hour services to those in need. You may attempt to turn to just any run-of-the-mill person with a tow truck but when you contact them for help, they couldn’t be bothered. In many cases, a professional tow truck company wants your business and will do whatever they can to earn it. They will also have the proper licensing and permits to operate a tow truck company in Tulsa. When you hire Tulsa Wrecker Service you receive fast and efficient towing services from well-qualified, competent tow truck drivers. Our drivers have the needed skills and credentials to operate any of our trucks, as they have been in the business for a long time and have received additional training from us. If you want to be sure that your vehicle will be safely and effectively towed to where you would like, rely on the preferred services of Tulsa Wrecker Service. We act in the best interest of our customers and that is why we offer the best towing prices in Tulsa.